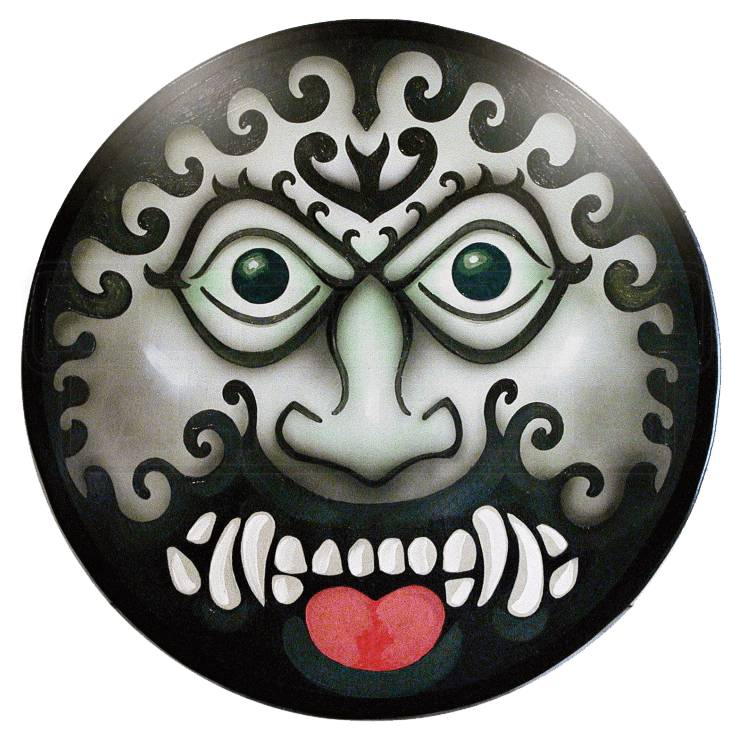 The Wooden Greek Barbarian Face Shield is a beautiful hand-painted and airbrushed wooden shield inspired by the art of ancient Greece. 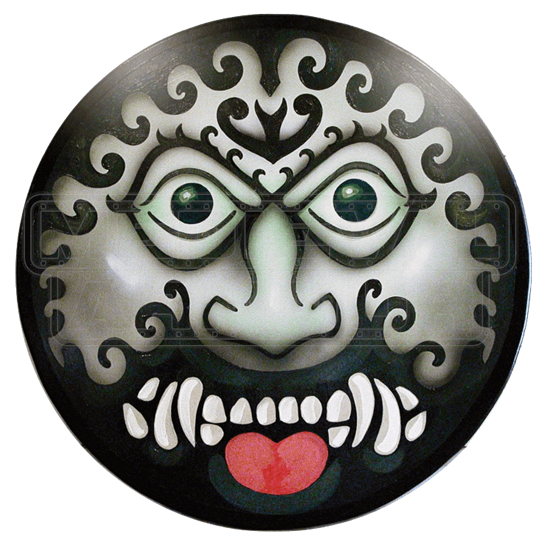 This Barbarian Face design is historically accurate and can be seen in various books pertaining to ancient Greek history. The Greek Barbarian Face Shield measures about 32 inches in diameter and is made out of 0.5 inch thick smooth composite wood, which is considerably stronger and more durable than plywood. A strong metal handle and heavy leather strap have been attached to the shields backside for easy carrying and maneuvering during reenactments. This wooden shield has also been applied with several coats of varnish to further protect and preserve it from wear. The Wooden Greek Barbarian Face Shield would be perfect for that upcoming Renaissance Festival in your area, or maybe some backyard brawling between friends. This wooden shield would also make a great gift for that Renaissance-enthusiast for someone you know.